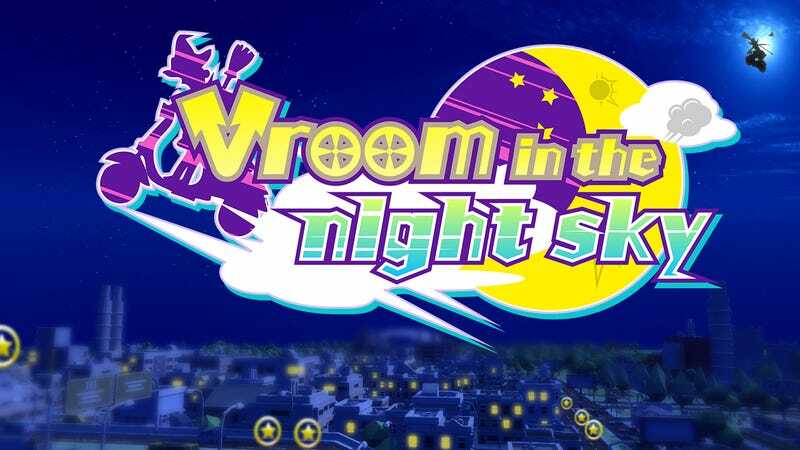 A month ago, we brought you the news that Vroom in the Night Sky, one of the few Nintendo Switch games currently available, would be losing its highly questionable but ultimately adorable bad English translation and getting a rewrite. That rewrite is now here, and it’s... worse, somehow. Pro localizer Clyde Mandelin has been tracking the saga of Vroom at his website Legends of Localization, and has meticulously cataloged the differences between the original version of the game that launched in some regions on March 3, and the current version. The rewrite has fixed a few lines (most notably, “Buyed!” has been changed to the much more correct “Sold Out!” in the game’s shop), but it’s hurt others, and it’s also introduced misspellings and formatting errors. A Girl: Jeez, there’s nothin’ but sand here! Besides the fact that the sentence capitalization is lost, there’s no joke anymore. Now it just reads like weird Twitter. Again, you get what they’re going for, unnatural-sounding as it may be. What the damn hell are you people talking about. Vroom in the Night Sky had a bad translation, but somehow it all came out as almost good-bad, charming and silly in a way that matched the goofy tone of the game. Fixing the translation to proper English would have been understandable, but now it doesn’t have either. Tut.